Nine McGill scholars, whose expertise ranges from cosmological string theory to reducing the health burden of poverty, became Canada Research Chairs today. 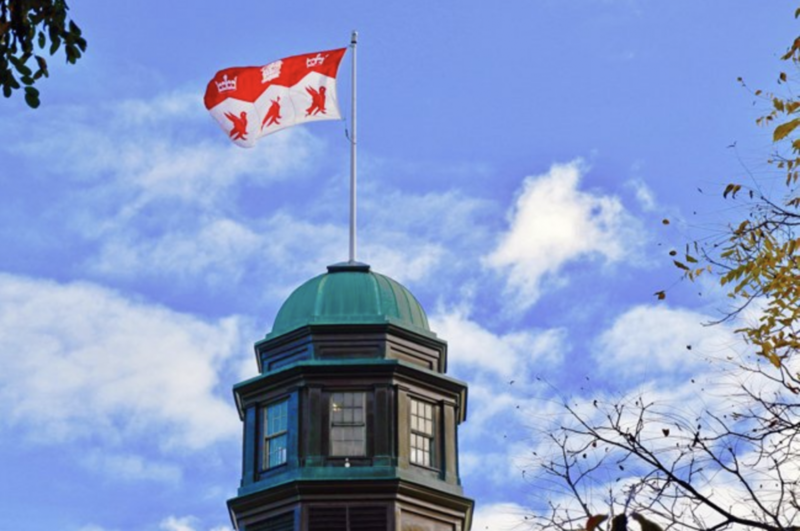 Another four McGill chair holders had their terms renewed. The total investment for McGill tops $9 million. Nationally, more than $158 million was granted for research and development. New chair holder Sarah Harrison, who holds joint appointments in the Departments of Mathematics and Statistics, and Physics, will continue her investigations in string theory, a theoretical framework that proposes a unified description of all particles and forces in nature, including gravity. Among the questions Professor Harrison explores, the mysterious relationship in mathematics between finite groups and modular forms (ominously named “monstrous moonshine”), which appears to have deep connections to physics and string theory. McGill’s Professor Frank Elgar, one of McGill’s renewed Tier 2 Chairs, will use the federal investment to continue tackling health and social inequities that begin in early childhood for those born into a lower income group. His research has shown that, despite the dramatic advances in health and life expectancies in recent years, five- to ten-fold differences in the rates of some illnesses and a 10-year gap in life expectancy persists across different levels of socioeconomic status. Under the CRC Program, universities have the opportunity to nominate outstanding researchers, like those granted CRCs today, for professorships in areas that will further and inform McGill’s renewed strategic research plan. By investing in high-potential researchers, the CRC program seeks to counter the Canadian brain drain, fueled by increased international competition for top talent and the greater mobility of highly qualified researchers. The program is a tri-agency initiative of the Social Sciences and Humanities Research Council (SSHRC), the Natural Sciences and Engineering Research Council (NSERC) and the Canadian Institutes of Health Research (CIHC). There are two types of Canada Research Chairs. Tier 1 Chairs are tenable for seven years and renewable. Each Tier 1 Chair is valued at $200,000 annually. Tier 2 Chairs, valued at $100,000 annually for five years with one opportunity for renewal, are for exceptional emerging researchers, acknowledged by their peers as having the potential to lead in their field. Granted in this round to McGill, eight new Tier 2 Chairs and one new Tier 1 Chair, as well as four Tier 1 and 2 renewals. Simon Caron-Huot, Canada Research Chair in High-Energy Physics (NSERC), Tier 2, New. Frank Elgar, Canada Research Chair in Social Inequalities in Child Health (CIHR), Tier 2, Renewal. Carl Ernst, Canada Research Chair in Psychiatric Genetics (CIHR), Tier 2, Renewal. Sarah Harrison, Canada Research Chair in Mathematical Physics and String Theory (NSERC), Tier 2, New. Andrew Hendry, Canada Research Chair in Eco-Evolutionary Dynamics (NSERC), Tier 1, New. Géza Joos, Canada Research Chair in Powering Information Technologies (NSERC), Tier 1, Renewal. Arjun Krishnaswamy, Canada Research Chair in Neural Circuits, Assembly and Function (CIHR), Tier 2, New. Chao-Jun Li, Canada Research Chair in Green Chemistry (NSERC), Tier 1, Renewal. Mylene Riva, Canada Research Chair in Housing, Community and Health (CIHR), Tier 2, New. Mathieu Roy, Canada Research Chair in Brain Imaging of Experimental and Chronic Pain (CIHR), Tier 2, New. Thomas Soehl, Canada Research Chair in International Migration (SSHRC), Tier 2, New. Stuart Trenholm, Canada Research Chair in Neuronal Circuits of Vision (CIHR), Tier 2, New.